Song Man- Poetry and Music crossovers…. 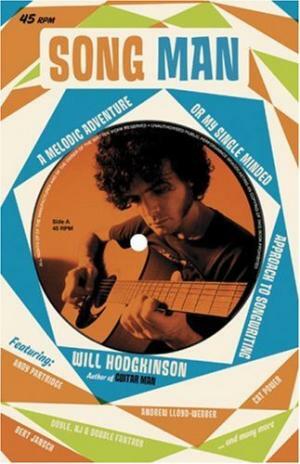 I have just finished this book by Will Hodgkinson. A companion to his first tome ‘Guitar Man’ it pretty much what it says on the label. A series of encounters with various songwriters underpinning his first and possibly last recorded work being recorded at Liam Watson’s Toe Rag studios and then released as a 7″ single. A charming book. As my drunken Rockabilly band also recorded at Liam’s Toe Rag as did a unheard of garage band called The White Stripes everything described rings true. I found the encounters with Andy Partridge, Chip Taylor and Richard Hawley the most engrossing and could possibly have done with more from their interviews. Overall a worthwhile read if interested in songwriters and the un-pleasantries of trying to form and keep together a band. The final encounter with Shirley Collins and a brief reprise of Bert Jansch leads directly nicely onto his next book ‘ The Ballad of Britain’ which next on my reading list. Most interestingly the musicians comments were quite pertinent to my writers block with poetry/prose. I found Hawley most entertaining with his comments where he quotes Hendrix..’learn everything, forget everything, play’...and how other people’s music ‘knocked him off his radar‘…..